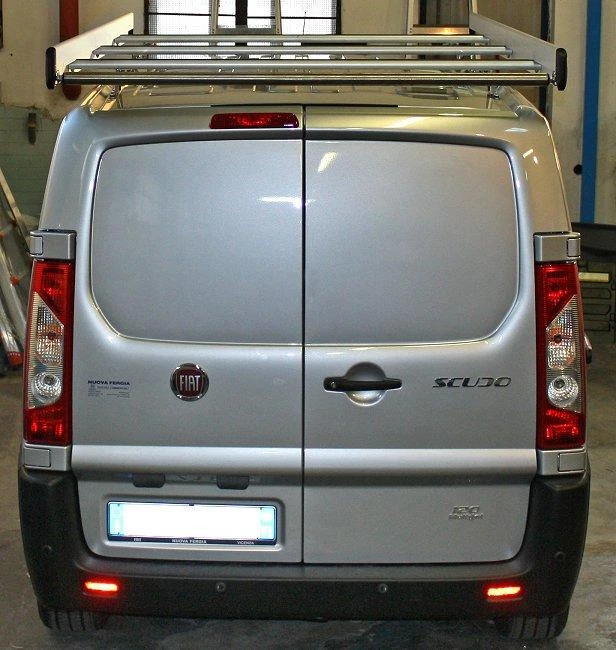 Roof bars, roof racks and ladder racks for Fiat Scudo. 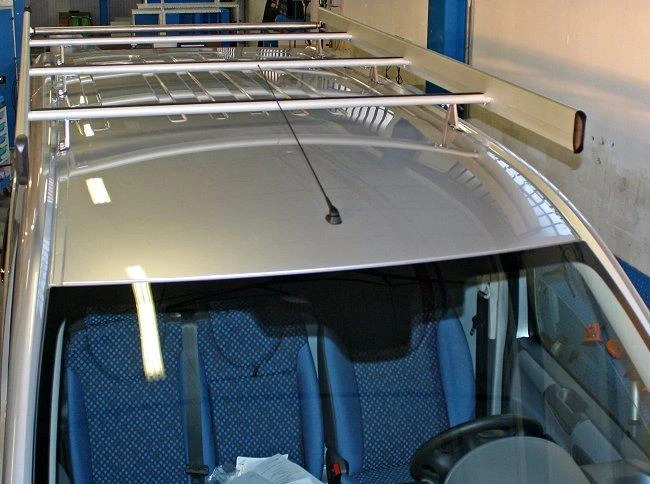 Fiat Scudo roof bars have a sleek design to ensure optimal aerodynamics and driving comfort. They are provided with a black durable rubber mould on top. The modular construction allow to change easily the fixation feet, made of stainless steel, to re-use the roof rack on another vehicle. Syncro roof rack system for Scudo offers cross bars, loading roller in stainless steel, side panels for load restrain and transportation, and a number of accessories such us side load stops, lashing strips. Pipe tube is a useful accessory that can be mounted on Fiat Scudo roof racks, ladder racks or directly on roof bars, for easy loading and transportation of long items such as conduits and pipes. Retrieval device to retrieve small parts that have slipped forward in the tube during transit. Roof bars and utility roof racks for Fiat Scudo are modular and silent thanks to the exclusive aliminium profile Supersilent.